As of 15 April, the leading hotel operator in the Baltics, SIA Mogotel, which this year has received the prestigious European Group Travel Award (EGTA), is expanding its managed hotel network with Rija Hotel TIA. The hotel is located in Riga, 63 Kr. Valdemāra Street and was formerly known to guests as the TIA Hotel. 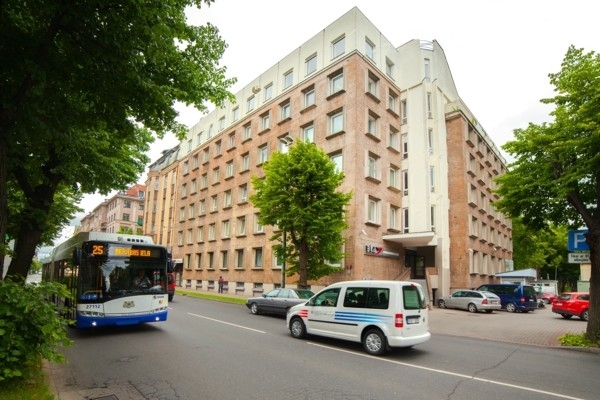 Rija Hotel TIA is a superior three star category hotel situated in the very heart of Riga, 63 Kr. Valdemāra Street, close to Old Riga. Less than a 10 minute walk away, there is the largest event venue in Latvia "Arēna Rīga" and the Olympic Sports Centre. The hotel has 50 well-equipped rooms with natural wood furniture made in Latvia. On the first floor of the hotel, there is a restaurant that offers guests delicious breakfast, lunch and dinner menus. The hotel also has modern equipped rooms for organising conferences and seminars for up to 100 persons. There is also a special parking lot for guests. One of the Rija Hotels brand advantages from now on will also be compact rooms and high quality service for reasonable prices, providing comfortable accommodation and opportunities to get acquainted with the city. For more information on Rija Hotel TIA and hotel room bookings, visit www.rijahotels.com. Mogotel Owner Vadim Muhin: "In addition to the development in the local Latvian market, our company is actively involved in projects in the Baltics and Europe. Currently with our cooperation partners we are discussing the expansion of the hotel network and planning to enter new markets in the coming year: Lithuania, Czech Republic, Austria." The Mogotel Group, representing the Wellton, Rixwell and Rija hotel brands, has been recognized this year as the 'Best Independent Hotel Brand of the Year for Groups in Europe'. The award was given at the prestigious European Group Travel Awards (EGTA) by the leading global online hotel booking and meeting vendors HotelPlanner and Meetings.com. The award ceremony has been organised since 2015 and in total gives out awards in seventeen categories. Every year, companies that offer the highest quality group travel experiences and outstanding service in hotels, airlines, cruises, technology, media and travel agencies are awarded in the competition. Mogotel is the leading hotel operator in the Baltic states with a Latvian origin and has 15 years of experience in the hospitality field. The chain’s mid-range and high class hotels Rixwell Hotels and Wellton Hotels, as well as the mid-range budget class Rija Hotels brand hotels have more than 1500 rooms in total to offer and provide more than 550 jobs for employees of various qualifications. Currently Mogotel holds 15 Wellton Hotels, Rixwell Hotels and Rija Hotels brand hotels, the latest addition of which is Rija Hotel TIA. The steady growth of Mogotel continues, achieving excellent hotel occupancy rates of up to 90%. The company’s future plans are related to expanding into Central European countries, such as Lithuania, Austria, the Czech Republic, Hungary, Poland and Bulgaria, as well as beginning to expand their portfolio of brands. The only proprietor of the company is Vadim Muhin, who, in order to develop the hotels, has raised funds from local commercial banks, as well as reinvesting earnings back into the business. In 2018, SIA Mogotel operated with a turnover of 21.3 million euros.